The Labour leader revealed his vision for the British Digital Corporation (BDC), if his party won the next election, during a lecture about the media at the Edinburgh TV Festival on Thursday.He said the "ambitious idea" would be a "sister organisation" to the BBC to rival Netflix and Amazon and also "harness data for the public good".To pay for the BDC, Mr Corbyn said cash on top of the existing licence fee could be collected from tech giants and internet providers.Audiences would be able to commission programmes under his plans, there would be "online decision making" and a social media platform to compete with Facebook, but with "real privacy and public control". And he said the BDC could work with other institutions a Labour government would set up such as a National Investment Bank and a Strategic Investment Board for increased public engagement and control. "Imagine an expanded iPlayer giving universal access to licence fee payers for a product that could rival Netflix and Amazon," he said. "It would probably sell pretty well overseas as well." 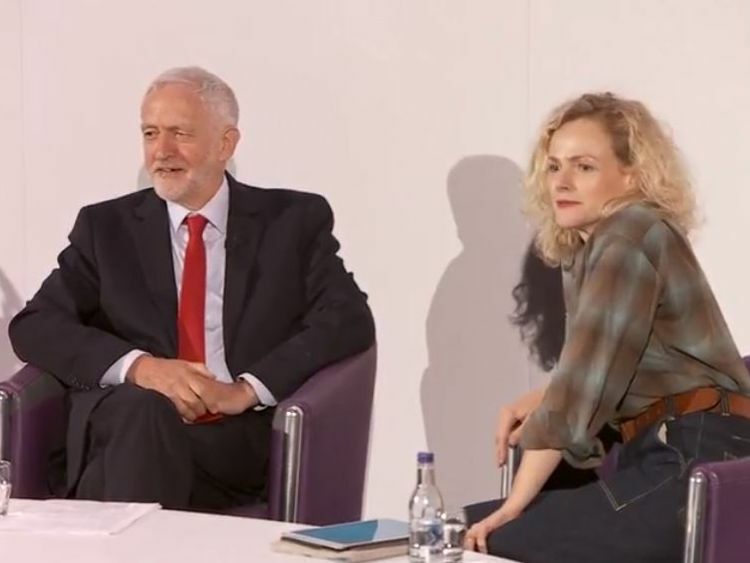 Mr Corbyn appeared to dismiss the BBC's large digital platform, saying it was "mainly a broadcaster" and the BDC would be "purely digital".The Labour leader slated the state of Britain's media, saying when it comes to news and current affairs "our media is failing". "The British media isn't ready for the challenges of the 21st century and so cannot properly serve the interests of a truly democratic society," he said. To open the media up and "make it more plural", he called for journalists to be able to elect their editors, saying The Guardian does this so there is "no reason" it could not happen everywhere.Mr Corbyn said, despite what people would think, he did admire journalists - his first job was on a local paper - and even called reporters who risk their lives for freedom "heroes of our time". "Not many people know this about me but the media is very close to my heart," he said. "I think about them every single moment of the day - and sadly they think about me every single moment of the day as well. "But he said journalism, and especially the BBC, needs to represent British society more than it currently does.Conservative Party chairman Brandon Lewis said: "Dressed up as press freedom, this was nothing more than a wholescale plan for more state control over our media. "From forcing BBC journalists to state their social class, to a nationalised Facebook, these measures are an attempt to hamstring our free press and legitimate scrutiny of Jeremy Corbyn. "Only the Conservatives will defend our free press, a vital function of a healthy democracy. "The BBC said it would not be commenting on the plans.